We demonstrate | Greaux Native! 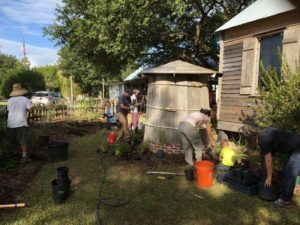 To showcase the beauty and ecological function of native landscapes, we have installed and maintain three demonstration gardens at LARC’s Acadian Village in Lafayette, at the Teche Farm in Arnaudville, and the Rain Garden at Vermilionville. 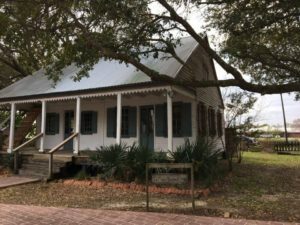 ANPP installed a demonstration garden in 2017 near the entrance of Acadian Village (https://www.acadianvillage.org/) at the historic Bernard House. Designed by ecological landscaping consultant Bill Fontenot and installed by ANPP volunteers, the Demonstration Garden showcases our natural heritage via the prairie plants, shade ferns, woody shrubs and native irises that would have been present in the landscape at the time these homes were inhabited. 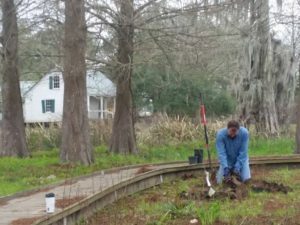 ANPP has also installed a native landscape at the June Walker Memorial Greenhouse at Teche Farm in Arnaudville. This demonstration garden was designed by Dona Weifenbach to honor June’s memory and provide a perpetual source of seeds and cuttings for propagation. 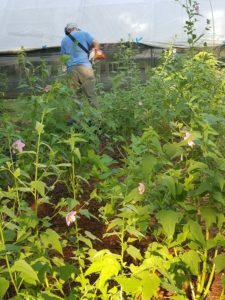 We also help to maintain the Rain Garden at Vermilionville. 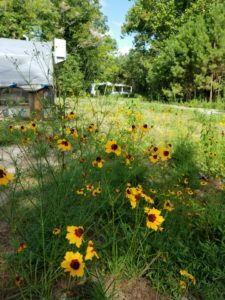 The Rain Garden showcases native plants suited for stabilizing and thriving in wet soils. 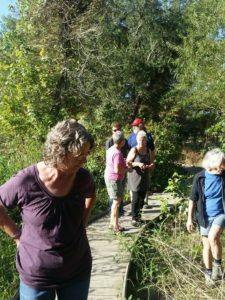 The plants found along the rain garden boardwalk are listed here. Email us to get in touch with these volunteer teams.